Welcome to the HCS Big 12 mailbag. 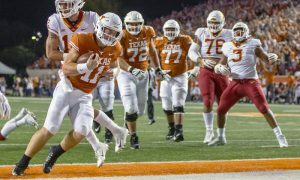 This mailbag is for all you football junkies out there who root for a Big 12 school who not only have questions about your team, but other teams in the conference as well. So, join me, grab a cold brew or your favorite drink and relax as I answer all your Big 12 questions in my mailbag. For those interested, I will send out a tweet (@Derekduke25) every Monday at noon until last call (No, not 2 AM) at 8 PM CT for you to send in your questions to be answered every Tuesday right here at Heartland College Sports. I will pick the best question for each mailbag and label it as my question of the week. The winner gets a free HCS Koozie to keep your beer cold (Unless you like it warm, but that’s just plain wrong). It was busy question day which tells me that this mailbag is working harder than me at my day job. Unlike the “Big 12 blog” over at ESPN (I say that loosely because one story a month is a tragedy), we here at HCS are determined to give you the best Big 12 coverage on the planet. I want to thank each one of you who submitted a question this week and for those reading, I am glad you could join me. There are probably some that don’t give a rat’s you know what about how my weekend was. If you do care or even if you don’t, I am going to tell you anyways. This weekend was absolutely nuts for me. Friday, I got from work and made the trip up to DFW for the Big 12 title game. After the five-hour drive, I settled into my hotel and woke up bright and early to head to Jerry World. After the game wrapped up, I drove back down to San Marcos for some drinks with friends to cap off the evening. Long story short, it was a long day and a late night. Sunday, I got plenty of sleep before kicking off the work week. On to the mailbag! @Chrissboom_ asks: Thoughts on players skipping bowls? 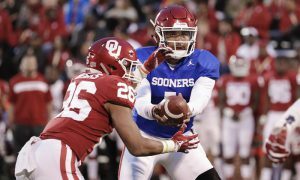 In Grier, Sills and company best interest to skip? Duke: For me, it depends on the bowl game. You mentioned a lot of West Virginia guys there and considering that they will be playing in the very prestigious Camping World Bowl, I think everyone should play in a great bowl game like that. HA! In case you didn’t catch the sarcasm there, I could care less if Will Grier doesn’t want to play in this lowly bowl game. What does he have to prove here? If he wants to play, let him play. If he doesn’t, then I totally respect that decision. Now if this was a NY6 bowl or a playoff game, I would have a much bigger issue here. For anyone who would possibly be angry at those guys for skipping out on the CAMPING WORLD BOWL should feel stupid. What difference does it make if he plays in it or not? Let’s face it, nobody will remember this bowl game in a few years. In fact, many WVU fans would likely want to forget about this bowl considering the expectations they had for this 2018 Mountaineer team. 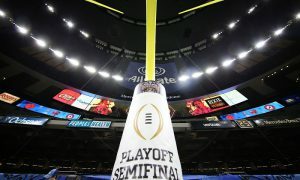 MacMoore22 asks: Will you be participating in the activities at the Valero Alamo Bowl? Duke: Considering I have a day job and a lot of these team activities leading up to the game are during the day, I probably won’t be there for any of the press conferences. The only thing I will do before gameday is go pick up my pass downtown. However, there is some good news on gameday for me. Usually the Alamo Bowl is held on Thursday and I dread going back to work the next day. Now this game is on Friday and I can get some good rest the next morning without having to worry about going to work. With that said, I will be checking out the tailgate scene before the game and talk with some Cyclone fans before the game. I will be keeping an eye on the Cyclone Fanatic twitter page and hopefully get to head downtown to see the Iowa State fans flood the streets of San Antonio. I am very excited to have Iowa State fans come here and I really hope they enjoy the city. In the next couple weeks, I will send out my own personal guide to the city and just give some insight on some places to check out and grub down at San Antonio style. 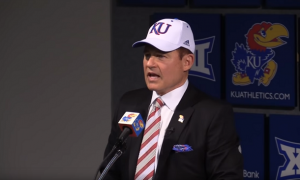 @RPTexan asks: It seems with the recent coaching hires, the Big 12 is changing. No more all offense. 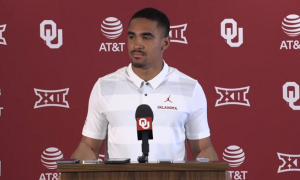 Will the Big 12 still be a juggernaut offensively but just not one sided anymore? Bringing defense back? Thoughts? Duke: I do think we will likely see lower scoring levels next season compared to previous years. You just mentioned the coaching changes but look at the landscape right now. Iowa State, Kansas State (depending on the hire), Kansas. These aren’t your usual Big 12 offenses by the looks of it. 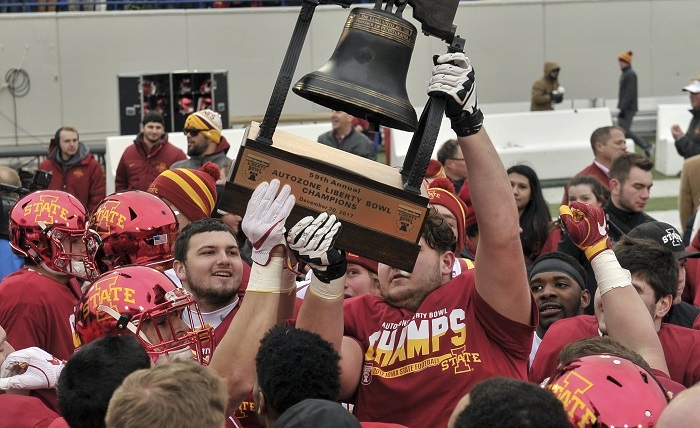 But then again look back at the Kansas State/Iowa State game. It was a 42-38 game and I don’t think anyone saw that coming. The thing the Big 12 does well is quarterback play. Quarterback play is crucial for offensive success and I think this season we had some solid play from that position and it was a deep position in the conference. I think will some production may drop a little, look at the signal callers coming back next season. Alan Bowman, Sam Ehlinger, Charlie Brewer, Brock Purdy etc. 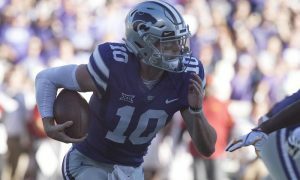 As long as there are good quarterbacks in this league, offense will rule the Big 12. Hell, even the NFL has figured that out now and the way this game is set up, it still favors the offense by a wide margin. @JoSCobbs90 asks: Why are Iowa State fans so pissy about all things Dana Holgorsen? So, he said you shouldn’t storm the field? Get over it already. Duke: I am going to leave off the comments you made after this question. No need to even go there. Personally, I haven’t heard anything since that game happened way back in October. The best thing for both sides is to just leave this conversation where it needs to be. By that I mean leave it in October where it belongs. @cychas87 asks: Will there be enough beer in San Antonio? They do know Iowa State is coming to town. 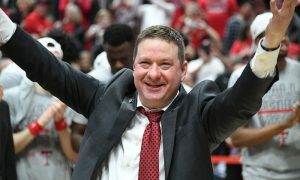 Duke: I know Iowa State fans love them some Busch Light and to be honest I don’t know of any place that has that on tap. Maybe cans at certain bars but I do know for sure you can find it at any convenient store, Walmart or HEB. Throw in liquor stores too. However, if you are just talking about beer in general, I would say yes. There is over 1.5 million people in this city, so I would think that there would be plenty of beer for everyone. The craft beer scene here isn’t great but there are a ton of little dive bars around the city. I will say though that when you’re in San Antonio you must have a few margaritas. Those seem to be endless here. Just an FYI: I will be releasing a SA guide for places to see and places to eat here in the next week or so once the game week gets closer. Can’t wait for Cyclone fans to flood the city and I hope they enjoy it.